So I’m getting used to this daily glasses thing. I’ll be able to wear my sweet baby lenses again soon, but until then I am stuck with my glasses. I know I’m lucky to even have vision, but I feel a whole lot less like me when I wear glasses. Coupled with the fact I can’t wear eye makeup, and I am feeling pretty egg-like. With glasses, concealer is key. Your eyes get all magnified, and I just definitely don’t want magnified bags under my eyes, y’know. Keeping a concealer with you is also so handy for when your glasses leave little imprint marks on the bridge of your nose. Is that just me? 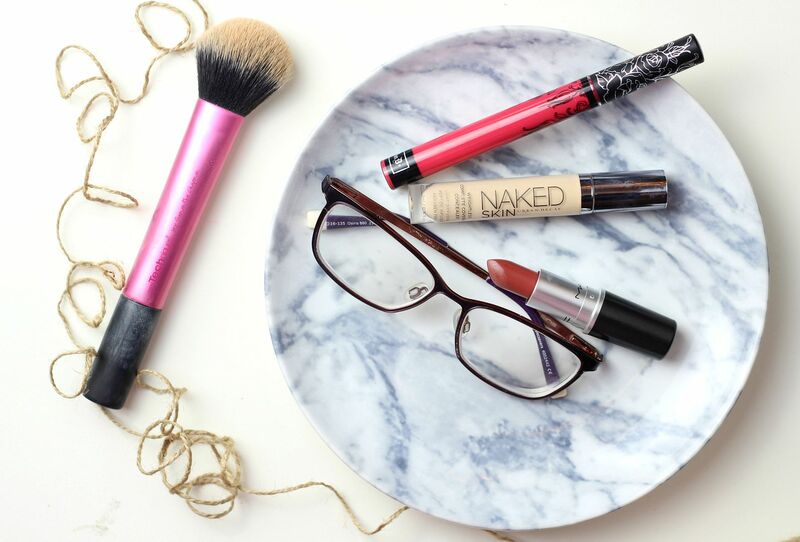 Any makeup tips from fellow glasses wearers? If you liked this post you might like this post on the charlotte tilbury products worth the money or this post on beauty blogging with brains. How I: Stay organised when blogging.